One thing that the Casino Gorilla loves, besides its tantalizing bananas, of course, is honesty and dependability! Yes, he loves the assurance that he can get what he is promised and when he is promised in a reliable fashion. Omnia Casino is founded on the promise of wholesomeness, or so its name claims. In fact, its moniker is borrowed from a Latin name Omnia munda mundis which insinuates “all things pure!” The casino is based on the ideology of fun, with a wholesomeness and purity that promises unmatchable gaming experience. Let’s see if the Casino Gorilla thinks this promise and aspiration is (or can be) a reality! 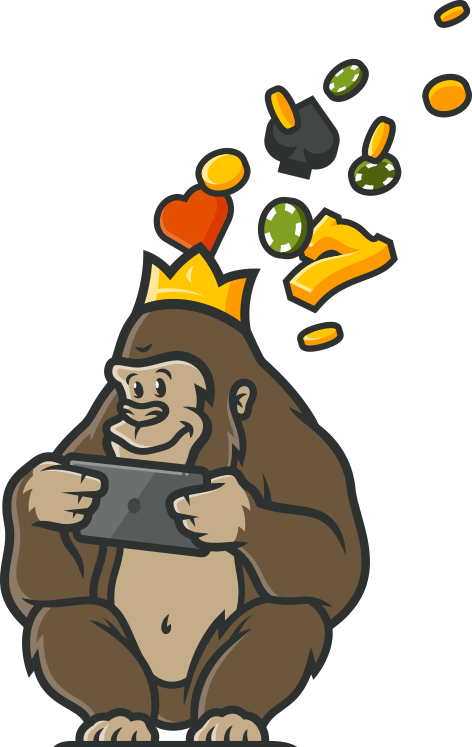 Being a rather new online casino, the Casino Gorilla didn’t expect to find an extensive array of promotional offers on its lobby. Much to our Gorilla’s surprise, Omnia Casino offers new and existing players stirring and unique bonuses to keep them coming back. Firstly, new players will usually receive a 100% match bonus of £100 m plus 50 free spins. The minimum deposit to claim the welcome bonus is £10, although deposits made via Neteller and Skrill are exempted from the promotion. Loyal punters are also rewarded with various perks and bonuses for their continued allegiance with the casino site. Interestingly, these bonuses will be personalized which appeals to players that enjoy an air of mystery. As aforementioned, new players are treated to a lavish bundle of 50 free spins upon signing up and depositing a minimum of £10. These free spins are playable on exciting on thrilling slots such as Twin Spin by NetEnt. Stay tuned and loyal at the Omnia Casino and the personalized bonus may carry a number of free spins to be wagered on selected slots. At the time of writing, no bonus code was required at Omnia to receive any bonus, whether the welcome offer or daily or weekly personalized promotions. This comes as good news to many punters who likes to land a casino, register, receive the welcome bonus, and start wagering on their favourite games, without having to go through the whirlwinds of promotional codes. Bets placed on slots, table games, and live dealer games count differently towards fulfilling the playthrough requirements. Players visit any casino for games, and subsequent winnings—bonuses, promotional programs, and other things are just icing on the cake! The Casino Gorilla was truly enthralled by what Omnia Casino has to offer in terms of games, especially the slots. Despite only launching in 2017, slots fanatics can enjoy over 500 slots from gigantic software providers such as Microgaming, NetEnt, Genesis Gaming, Quickspin, Play’n GO, Yggdrasil, and many more. Omnia Casino features legendary storytelling slots such as Pied Piper and the dazzlingly ingenious Mouse Walking Wilds. If you love movie themes games, you can immerse yourself in slots such as Jungle Jackpots, Bagheera’s Hot Streaks, Baloo’s Colossal Spins, Kaa’s Locking Wilds, and Beauty and the Beast among others. Players looking for money-spinning wins can also take part in a variety of jackpots such as Mega Fortune and Mega Moolah. Upon visiting Omnia Casino, you’ll immediately notice that the site delivers a modern vibe and state-of-the-art software. What screams space-age technology in online casinos than the live dealer games? Omnia casino features nearly all the versions of live games within its gaming portfolio all with perfect angles and visuals. Roulette and Blackjack aficionados will be pleased with the sheer variety and multiplicity of live versions at this up-to-date casino. Those who love Baccarat and Poker will not be disappointed either as they will find various versions of these games with a single click into the live games page. All the games are delivered by, smart, highly professional ‘live dealers’ who takes you through the game as if you are in a land-based casino. Rest assured that the live video is fantastic owing to the hi-tech camera installation that delivers very realistic gaming experience. Both the desktop and mobile versions are superbly designed and optimized to give you a perfect switch between your PC and mobile device. Like desktop, the mobile version features modern visuals and colorful layout that you’ll be forgiven if you get lured in instantaneously. Its user-friendly interface allows you to access nearly everything with just a single click, and with its intuitive site, no player, whether veteran or novice can stumble accessing the site. The gaming collection on its mobile version is exciting, if not overly impressive. Nearly all the games that are available on the desktop version can be accessed on the go via mobile devices across common operating systems such as iOS, Android, and Windows. The means that you can play popular games such as Gonzo’s Quest, Starburst, the Planet of Apes, or Gremix right on your preferred mobile gadget. All table games, such as Blackjack and Roulette as well as their various live versions are also included in the mobile version. When it comes to fairness and security, players can rest assured that their personal and sensitive data is safe and secured by the casino. Omnia is secured by the latest SSL encryption and firewall technologies to thwart any form of hacking. In terms of fairness and reliability, the casino uses random number generator (RNG) to ensure that the results of all games are always random and fair. Its security and fairness are guaranteed by the fact that the casino is dual licensed and regulated by two of the most widely respected statutory bodies; Malta Gaming Authority (MGA) and United Kingdom Gambling Commission (UKGC). 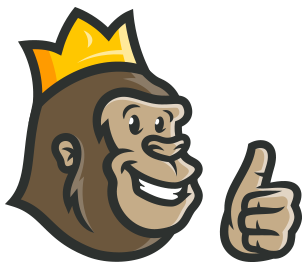 The Casino Gorilla gives Omnia 10/10 when it comes to customer support resourcefulness and responsiveness. The support team is available to users 24/7 through and through via email ([email protected]) and live chat. Moreover, punters can access all the necessary and important information before-hand on the casino’s FAQ page. Unfortunately, players from the following countries are not allowed to join Omnia Online Casino: United States of America, Cyprus, Ecuador, Czech Republic, Puerto Ric, South Africa, Somalia, Slovenia, Romania, Portugal, Poland, Philippines, Montenegro, Kuwait, Libya, Malaysia, Iraq, Iran, Indonesia, Hungary, India, Hong Kong, Kenya, Nigeria, Turkey, and many others. Actually, if you’re from a prohibited country, the site will notify (prohibit) you as soon as you enter its URL! As with most casino sites, it’s easy to get caught up with the razzmatazz! However, the Casino Gorilla knows when a casino is just an empty glitter or the real deal. In this case, Omnia Casino is the ‘real deal’ according to this veteran reviewing pundit. The Gorilla seems to have enjoyed its stay at the casino, maybe it was the carroty and gingery colour of the website, but his review showed more pros than cons. Since this is a newish casino, the Gorilla expects quite a number of changes before the casino can live up to its moniker! This site has games from all the best providers. I love the Microgaming slots and there are some great table games too. There are many bonuses to claim when making deposits. No problem with registration, but haven’t made a withdrawal yet. Came across Omnia casino completely chance and haven’t regretted joining ever since. They advertise the fact that the content is personalized to each person. I do not know how they do it exactly but so far it seems to be working pretty well. I get the types of games I like recommended to me and the bonuses and promotions are very attractive as well.